Applying acid to your face and body is probably something you’ve been heavily steered away from in the past. Sensitive skin. A corrosive chemical. You’d be forgiven for thinking the two should avoid each other at all costs. But, did you know, contrary to popular belief, there are some forms of naturally occurring acids that, when used correctly, are beneficial not only to your skin but your overall health too? Act as a gentle exfoliator by removing dead skin cells that clog pores. Clears pores to leave the skin fresh and glowing. Act as an antioxidant to treat and prevent wrinkles. As the name suggests, acid is potent and should be used very carefully. Here are some acids that are safe to use in your products and should be included in your regular skincare regime. AHAs are well used in skincare products and with good reason. The most common AHAs are lactic acid and glycolic acid. In particular, these two acids penetrate the skin at a deeper level and are known for their exfoliating and replenishing properties. Acids are potent, so it’s important you use them in their most natural state. If AHAs are labelled ‘naturally derived’, it’s likely they have synthetic ingredients added to them to make them stretch further or to act as a stabiliser. ‘Naturally derived’ doesn’t necessarily mean ‘natural’ and chemical ingredients make the acids even harsher which can end up causing harm to already sensitive skin. Before using any acid on your face, check product labels carefully to make sure they’re not combined with synthetic chemicals. AHAs occur naturally in fruit, sugar cane and milk. Glycolic acid is a neutralised AHA and is suitable for regular skin care in products used at home. The tiny molecules make glycolic acid an excellent treatment for blackheads and oily skin. Tartaric acid is another gentle AHA and is a completely natural fruit acid found in Davidson plum, the only ingredient in Biologi’s Bd serum. Phenolic acids are a group of phytonutrients which have considerable benefits to the skin and body. Reduces DNA damage and contains potent anti-aging actives. Promotes even skin tone by reducing the visibility of sunspots. Reduces colour pigmentation such as dark undereye circles. Helps to minimise inflamed skin and redness. Helps protect skin from oxidative stress caused by UV radiation and the natural aging process. Evens colour and brightens the skin. Contains potent actives which treat sunburn and inflammation. The key to fresh, glowing skin comes straight from the fruit. Davidson plum and Kakadu Plum are both rich in gallic acid and are the main ingredients in Bd and Bk serums respectively. Kakadu Plum is also potent in ellagic acid making Bk serum an all-round powerhouse in skincare. While vitamin C is one of the most beneficial vitamins for your skin, ascorbic acid and L-ascorbic acid (commonly labelled as synthetic vitamin c) don’t deliver on the benefits associated with natural vitamin C! The benefits lie in the activity of the vitamin and therefore only exist in its naturally occurring state. Promotes collagen production to reduce fine lines. Reduces pigmentation and minimise sunspots. Combats UV damage and keeps skin hydrated. Contains potent antioxidants to protect from damaging free radicals. Vitamin C is extremely unstable once extracted, so the stabilising ingredients render its healing properties virtually non-existent. 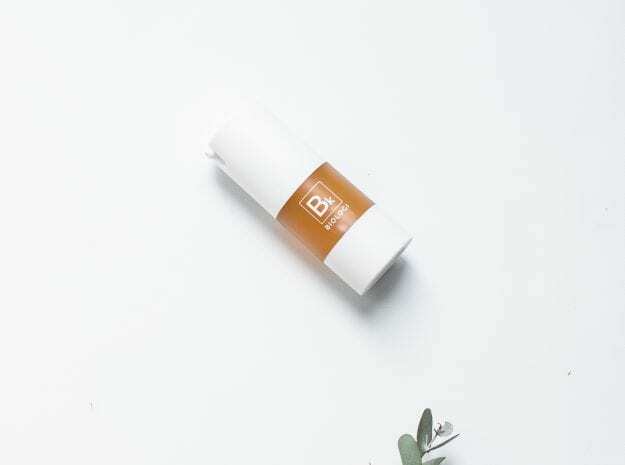 Biologi has successfully developed a revolutionary extraction method that delivers a 100% active stable serum, including vitamin C in its natural form which has never before been available for retail. While the benefits of ascorbic acid are heavily promoted in skincare, be warned – this acid has none. Unless the structure of the vitamin C molecule is completely unchanged (as it is in Biologi’s Bk and Bf serum), it is useless in skincare. Always choose a natural enzyme over a synthetically made chemical that can be extremely harsh on your skin. The whole range of Biologi serums is made from just one natural ingredient and rich in nourishing natural acids that your skin and your body will thank you for.